Leading insurance law firm Hill Dickinson has successfully undertaken a landmark private prosecution over a fraudulent road traffic accident (RTA) claim, in the wake of the separate jailing of four people over a fraud that costs solicitors’ firms and insurers hundreds of thousands of pounds. These high-profile incidents come as the government’s controversial personal injury reforms are going through the House of Commons in the Prisons and Courts Bill, with fraud a core justification for them. Hill Dickinson, acting for car hire company Accident Exchange, identified a £32,000 fraud put together by two men who vehemently denied knowing each other prior to the collision of their expensive cars, and gave a false account of the circumstances. However, they were actually well acquainted and the fraud was identified by the firm’s Netfoil claims database, which contains over 240m claims records captured from the claims and accident management industry. Hill Dickinson brought the private prosecution and the defendants, Adam Islam and Mohammed Abu Khayer, eventually entered guilty pleas to two counts of fraud by false representation, shortly before the trial was due to begin. Islam received an 18-month immediate custodial sentence, whilst Khayer was given a 12-month sentence, suspended for two years. Accident Exchange was also awarded all of its £17,000 costs, as well as compensation of £4,500. Compensation was also awarded to LV of £5000, with Sixt receiving £900. Hill Dickinson’s head of fraud, Peter Oakes, said the success laid the ground for future actions. Meanwhile, last month, six people were sentenced at Liverpool Crown Court for their involvement in a series of sophisticated frauds that in all netted over £530,000. It followed a five-year investigation by detectives from the City of London Police’s insurance fraud investigation department (IFED). 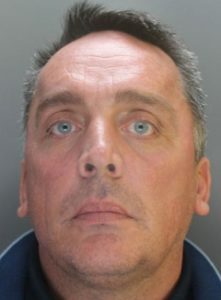 The ringleader, James Darren Conroy, 48, received four years’ imprisonment for 10 counts of conspiracy to commit fraud by false representation. The IFED said that the fraudulent activity started in 2011 when the company Hadgate Claims was formed, with the director listed as Adrian Michael Gate and the company bank accounts listed in his name. Hadgate Claims was, to the outside world, a claims management company that referred personal injury claims from road traffic accidents to solicitors and claims management companies in return for a fee. In fact, the company was referring fraudulent and in the main completely fictitious claims that would never proceed past the initial submission stages. Although Gate appeared to be running the company, it was actually Conroy who was the person speaking to companies and organising referrals. Over £295,000 was paid into the Hadgate Claims bank account in the form of referral fees between July 2011 and August 2014. Of this total, Gate received £8,450 from Conroy for assisting with the fraud. Gate was sentenced to 14 months suspended for 18 months and a three-month curfew. Conroy stopped working with Gate and turned to John Norman Slater who set-up a bank account and company under the name Harvey Davenport. Although the company director and bank account had changed, the solicitors and claims management companies that were paying the referral fees still thought that they were dealing with Hadgate Claims. Again Conroy was running the show, said the IFED, and receiving the vast majority of the cash benefit. Nearly £94,000 was paid to this company’s bank account with Slater given just over £800 for assisting with the fraud. He was sentenced to 12 months suspended for 18 months and a 12 month supervision requirement. In March 2012, a referral was made to IFED by an insurance company which was concerned about a number of accidents that had been submitted to them, as they were unable to get hold of the policyholders and it came to light that most of these referrals had originated from Hadgate Claims. Around the same time, representatives of a firm of solicitors in Merseyside made a complaint about being defrauded out of referral fees for a number of personal injury claims referred to them by Hadgate Claims. Investigating officers discovered that, following the personal injury referral fee ban in 2013, Conroy turned to defrauding funeral plan companies into buying fake referrals. Conroy was also involved in a crash for cash scam. Detective Sergeant, Matthew Hussey on behalf of IFED said: “The offenders used their experience of working in the claims management industry to their complete advantage and would not stop even when legislation got in their way. Finally, more than three years into the creation of the Insurance Fraud Register (IFR), it still only covers 62% of the market, new figures have shown. An industry-wide database of known insurance fraudsters, it is managed by the Insurance Fraud Bureau in partnership with the Association of British Insurers. Its most recent update said it was “ahead of target” by topping 60% of the general insurance market following “a recent substantial increase in take-up”. Nearly 15,000 records are now on the register. 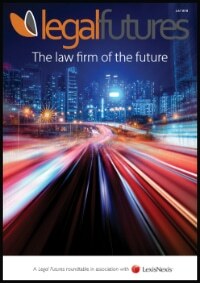 The Insurance Fraud Taskforce recommended that insurers should use the IFR as a fundamental tool in their fraud detection, and the IFR has warned those that have not yet signed up that they face the risk of being targeted by fraudsters and organised fraud rings “who could identity they are able to take out policies without being challenged”.